Click on the image to show the whole table of contents. 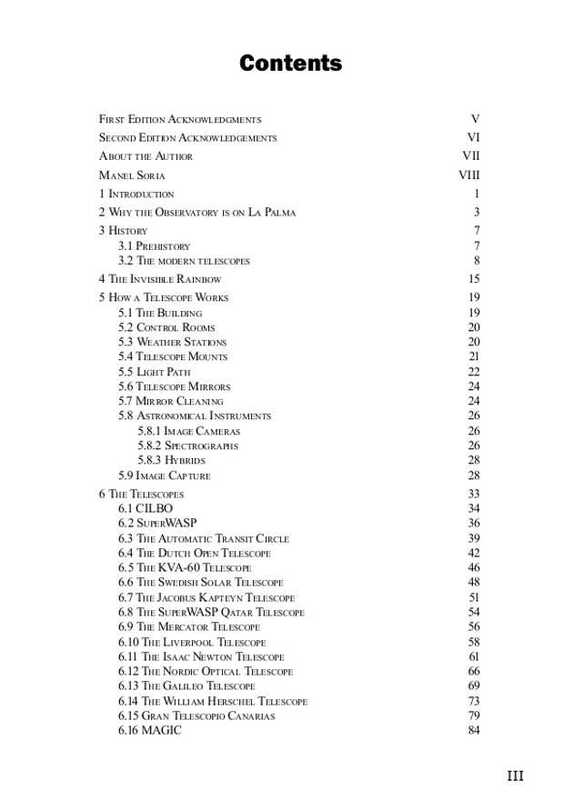 Table of Contents for the Second Edition of “A Breathtaking Window on the Universe: a guide to the observatory at the Roque de los Muchachos”. Any words in bold are explained in the glossary. The second edition of “A Breathtaking Window on the Universe” is now on sale, price 17€ from shops or 15€ + P&amp;P from this site. To continue reading, click here to buy the book.